ILAM, Aug 24: Top Bahadur Basnet of Soyang village tells something incredible. 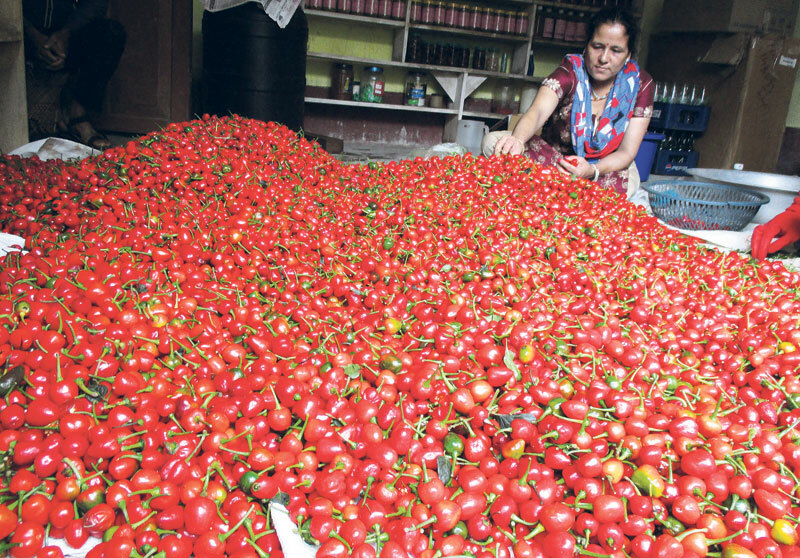 This year, he is seriously expecting Rs one million in return from the harvest of a special type of a type of Habanero Chili popularly known in Nepal as Akbare Khursani. 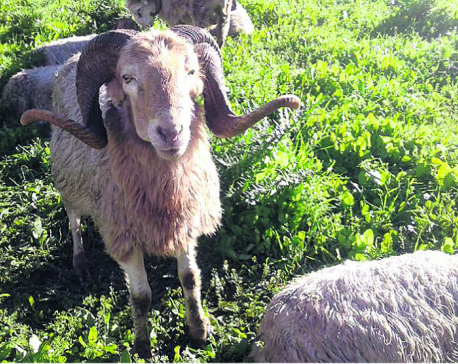 Basnet had invested around Rs 40,000 in the farm. If you ask him again whether he is sure of getting such high returns, he gives the same answer without any sign of doubt. Madan Rai, a resident of the Suryodaya Municipality has similar return expectation from the harvest of the chili. Rai who invested around 100,000 in farming the chili, is expecting to earn around Rs 1.5 million. Basnet has planted 2500 saplings of the chili in his farm. He keeps constant vigil on the plants and shared that he is very happy to find that the plants are doing real good. Rai looks no less in bliss. On an average, Akbare chili fetches over Rs 250 per kg. He informed that a plant produces one to two kg of Akbare chili. “I think I would make around Rs 1.5 million this year from the harvest,” he shared. Rai has planted around 3000 chili saplings which he terms as ‘miracle plant’ in three ropanis of land. “Depending on the demand and availability of the chili in the market, the price fluctuates. So at times a kg of the chili can fetch over Rs 300. So even with the base price, I am expecting a very good return on my investment this year,” said Rai. High return for very low investment is one of the reasons why locals here are being strongly pulled towards Akbare chili farming. In addition to the cost factor, the production and harvest period is very short. Learning from the success stories of those who have been into it, Akbare chili farming has gone viral in the district. The red chili seems to be all over the Illam farms. It is taxing job to find a household which is not interested in farming this chili that is also popularly known as Dalle Khursani. The chili gets ripe in red color starting from August and keeps yielding till December. This type of chili is produced in the plain regions of the country as well. However, Ilam grown Akbare chilies are considered of better quality than elsewhere. The price was even higher earlier as there was lower production and high demand. “We easily sold it for Rs 400 per kg in the past. The price went little down as many others joined in farming it,” Basnet said. “In my ward alone over 40 families have been professionally growing Akbare chili,” he added. Easy access to market for selling the produce of Akbare chili in Ilam is another factor that has been attracting more and more farmers into Akbare chili farming. Most of the chili produce is sold at the ginger processing factory in Dhobidhara. After processing the chili in a type of pickle, it packed in bottles and sent out to national and international buyers. The chili are processed with with salt water and packed in bottles. The processing helps the chili to last for a year. These packed chili bottles are high-demand commodity in the market, even in the local market. “The demand is so high in Ilam itself that most of the produce is sold in the local market itself. We receive huge demands for the chili bottles from outside the district. Though we sell some of the produce outside the district and outside the nation, a lot more production is needed to fulfill all the demand we receive,” Usha Niraula, operator of the processing factory said. The factory sold 20 quintal of the chili last year. Niraula expects this to rise to 50 quintals this year. “Demand is good, the market is good, so the transaction is going to soar up this year,” she said. Outside Ilam, Akbare chili pickle bottles are mostly supplied to Kathmandu, Biratnagar, Pashupatinagar within the country and these are also exported to Darjeeling, Siliguri ,Mirik and Tingling of India. Apart from that migrant workers also love to take the bottles with them when they head out of the nation. 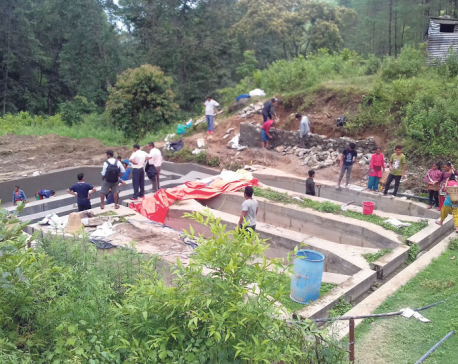 Professional farming of the chili is commonly seen in Soyang, Naamsaling, Sumbek, Godak, Laxmipur villages and Suryodaya Municipality of Ilam.